i just wanted to pop on and share a bit about all the fun I'm having at the moment for Halloween! 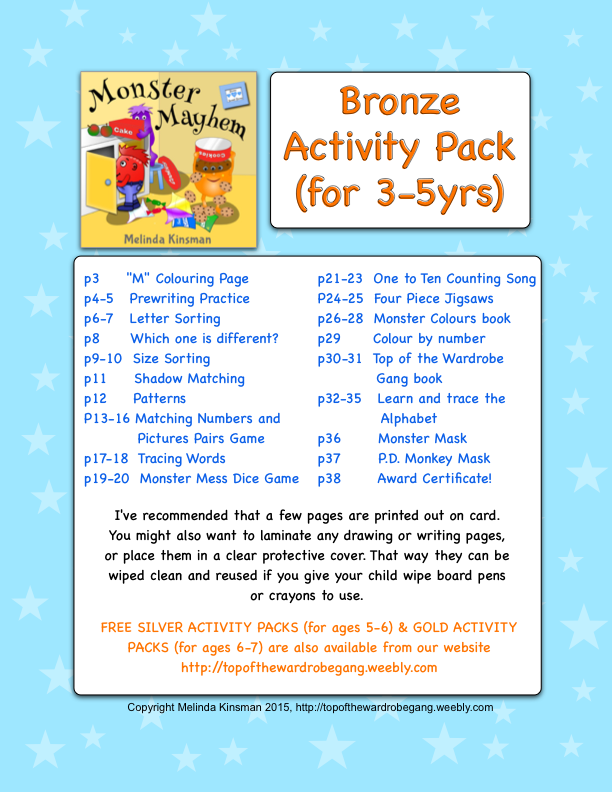 M asked me to help organise things for our new rhyming book launch. It's a book set in the autumn, so isn't a Halloween-themed book. 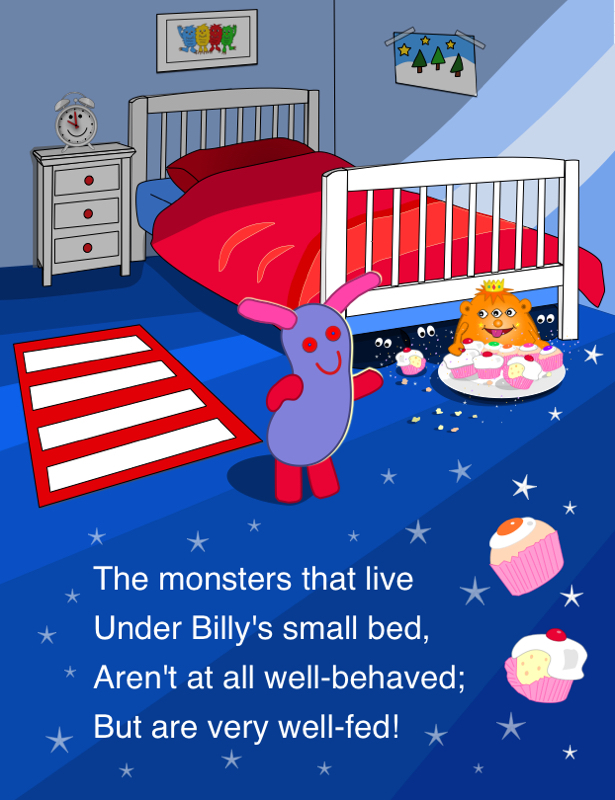 It is the THIRTEENTH book in our rhyming series, though, so we thought launching it over Halloween would be fun. 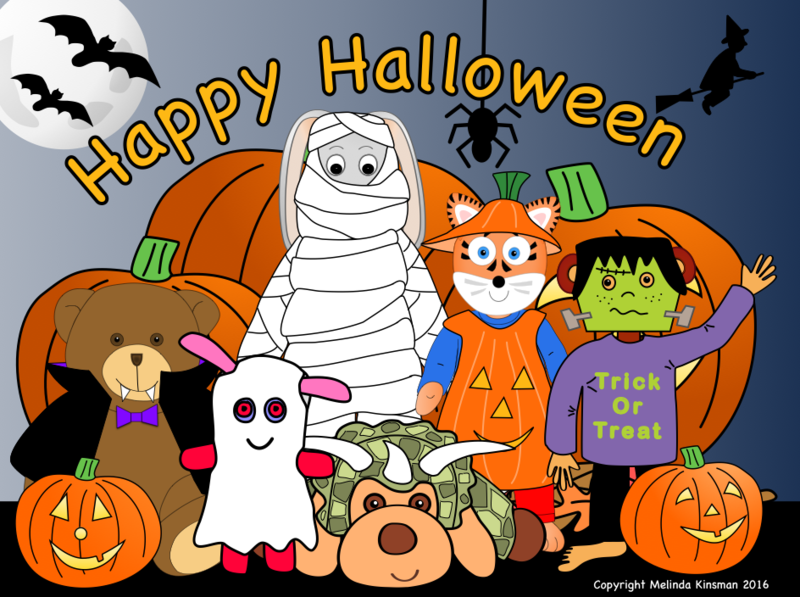 Anyway, we've been drawing ourselves dressed up in our Halloween costumes, and I've been making cool FREE Printables (both ones based on the new book, and some Halloween ones). M has even promised to photograph me helping her to carve a pumpkin, if I finish off the puzzle pages I'm doing! I will add the Printables to the website later, and I promise to post any cool photographs here too! 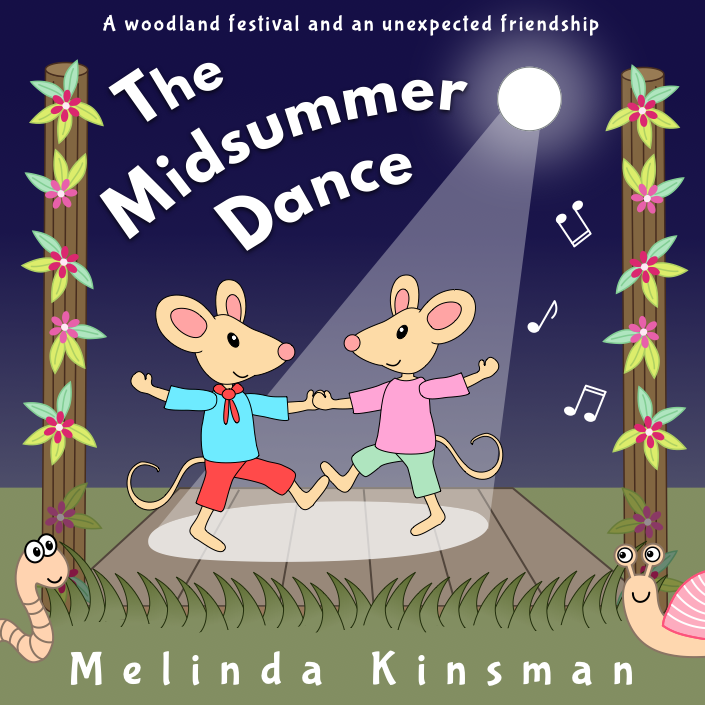 If any of you would like to grab a FREE eBook copy of our last book, "The Midsummer Dance", then this book will be FREE tomorrow and Wednesday (19th & 20th July). 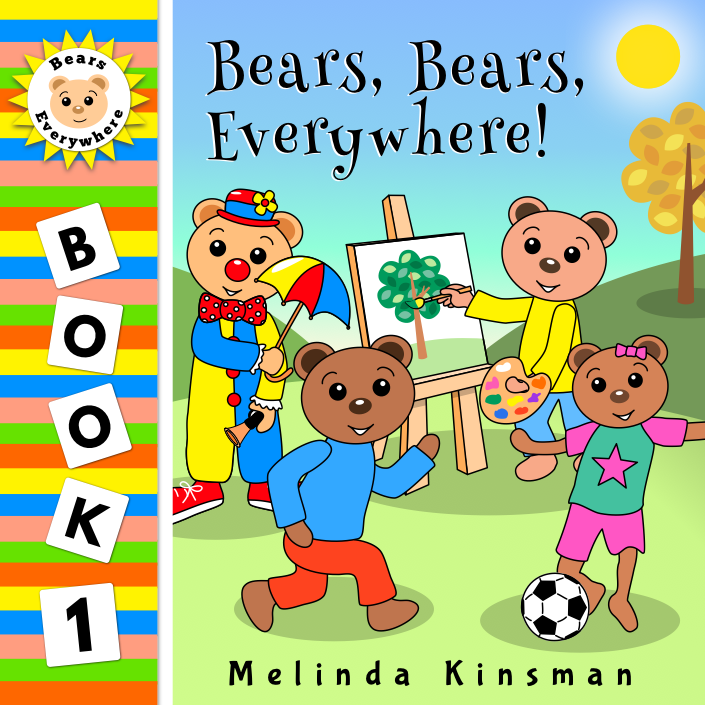 Just click on the cover picture above to go to the book's page on Amazon. 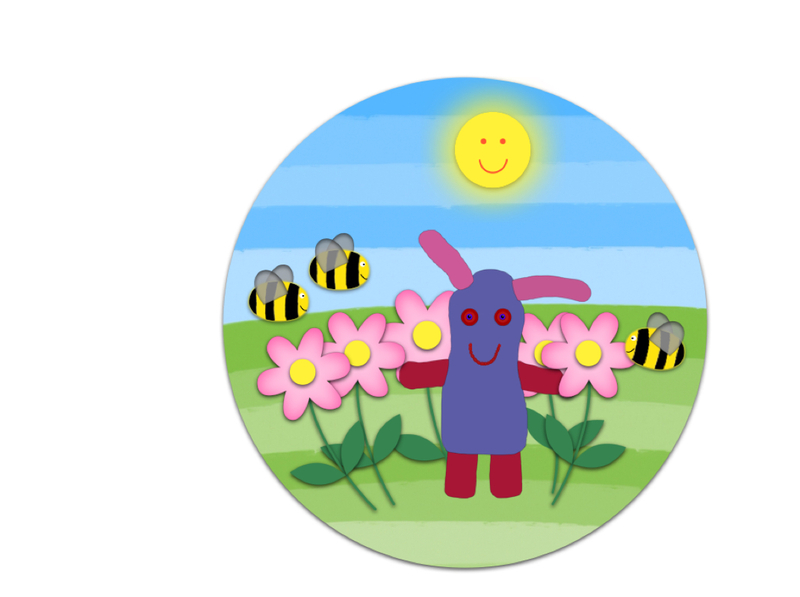 We're all busy illustrating our next rhyming picture book at the moment. The words and pictures may change a bit before we have finished, but the 2 pictures above are a sneaky preview. 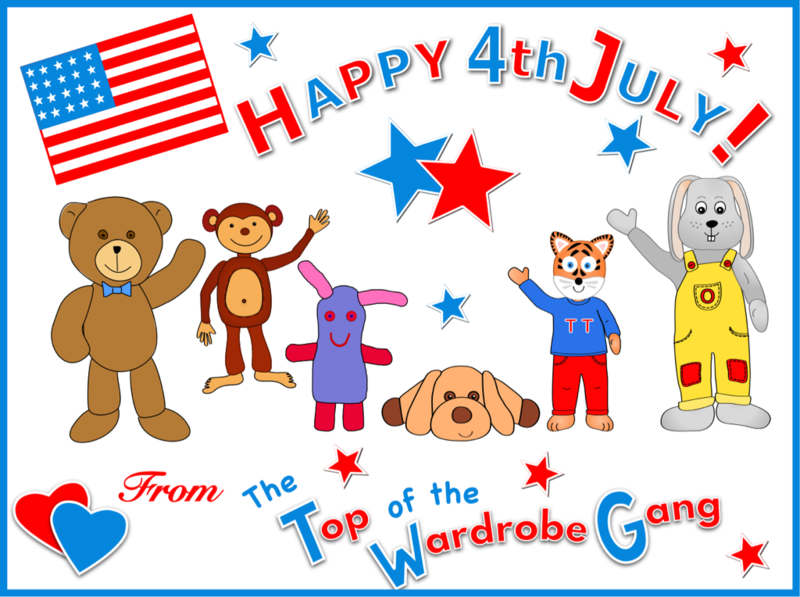 I wanted to pop on to wish all our US friends a very Happy 4th July! It's going to take me a while to read all this lot, but Burton Bear has kindly offered to help me turn the pages, as most of them are bigger than me! We are still also looking out for YouTube videos to watch of great Rhyming Picture Books being read. 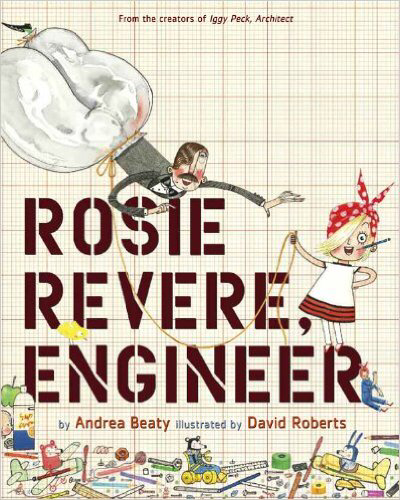 We all voted for our 2 favourite rhyming picture books from the ones we looked at last week, and the 2 below, Iggy Peck Architect, and Rosie Revere Engineer, both by Andrea Beaty, were the winners! 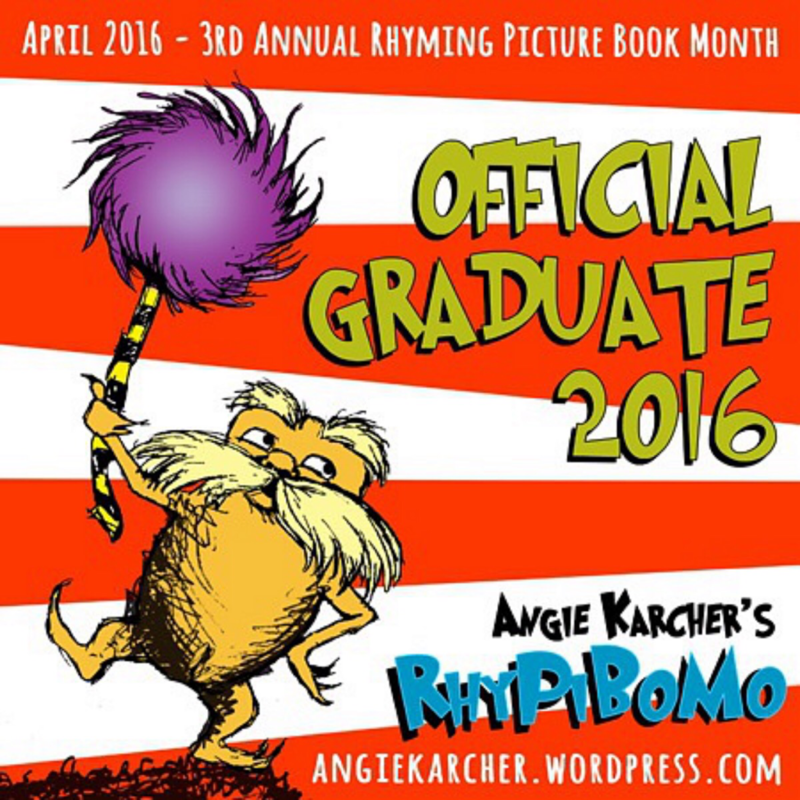 It's Rhyming Picture Book Month 2016! 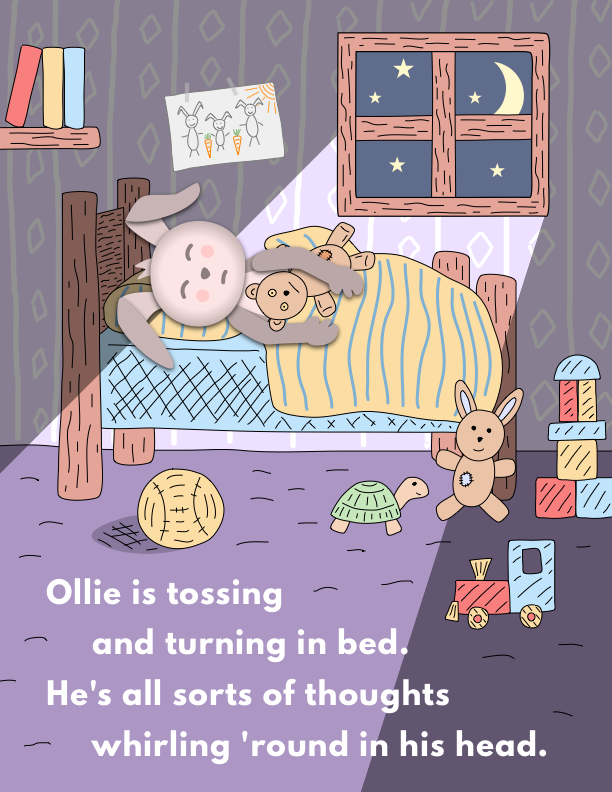 We've just hit publish on the eBook version of our TENTH rhyming picture book, and I promised M that I would finally start writing a few blogposts again. 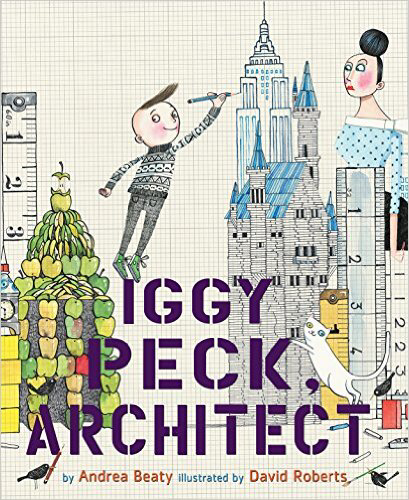 As this April is also the third annual Rhyming Picture Book Month event, I thought I'd join in with the pledge and help M read 2 rhyming picture books each day. 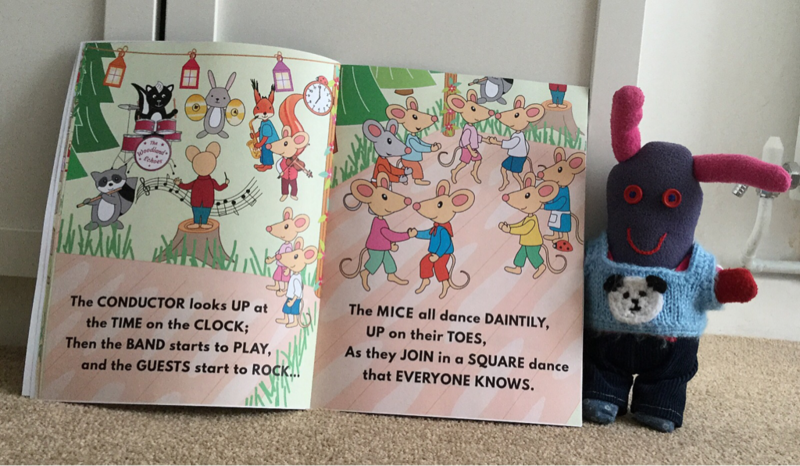 If anyone wants to join in the fun, then #RhyPiBoMo also has daily blogposts about rhyming picture books. You can find them here on Angie Karcher's blog. 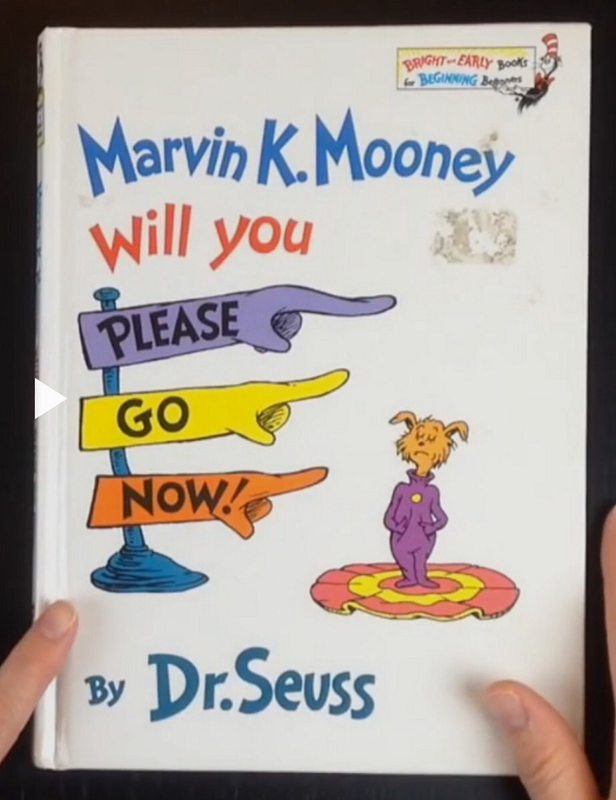 As I didn't want to re-read our old favourites, and our UK library sadly seems to lack many rhyming picture books, I've just been exploring YouTube. 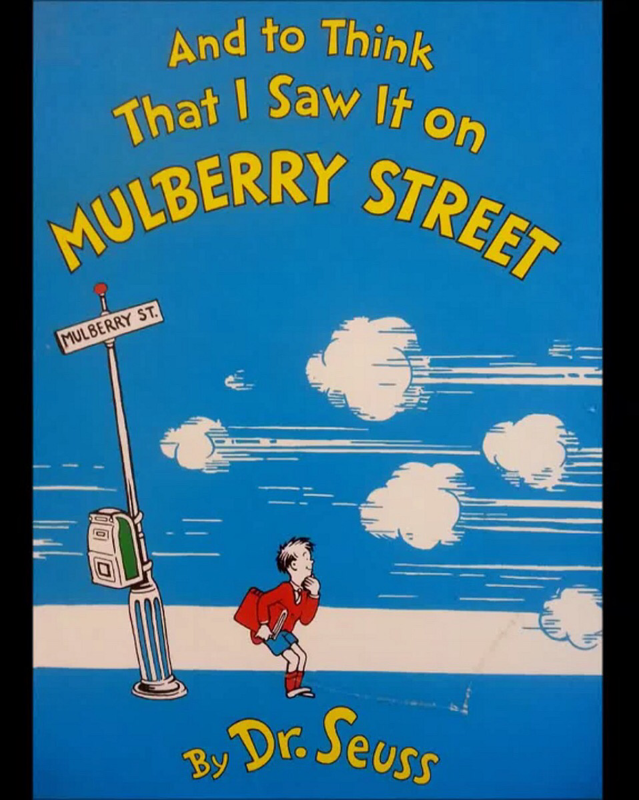 I discovered there are lots of old classics (including many Dr.Seuss books we've never seen before) as "read aloud" versions. They allow you to also read each page for yourself if you just turn the volume off and press pause as each page is revealed. Not as "hands on" as a trip to the library, but a handy modern day option when looking for 2 new rhyming picture books to read each day! My verdict: Good rhyming fun, and great Dr. Seuss illustrations. Here's the YouTube link in case anyone else wants to read or listen to this one. We can't believe it's May already! 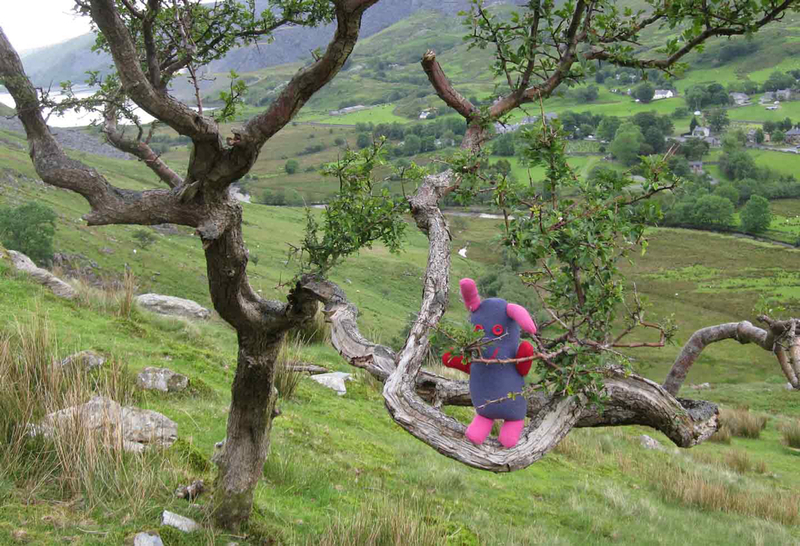 We can't believe that Rhyming Picture Book Month is now over for another year. 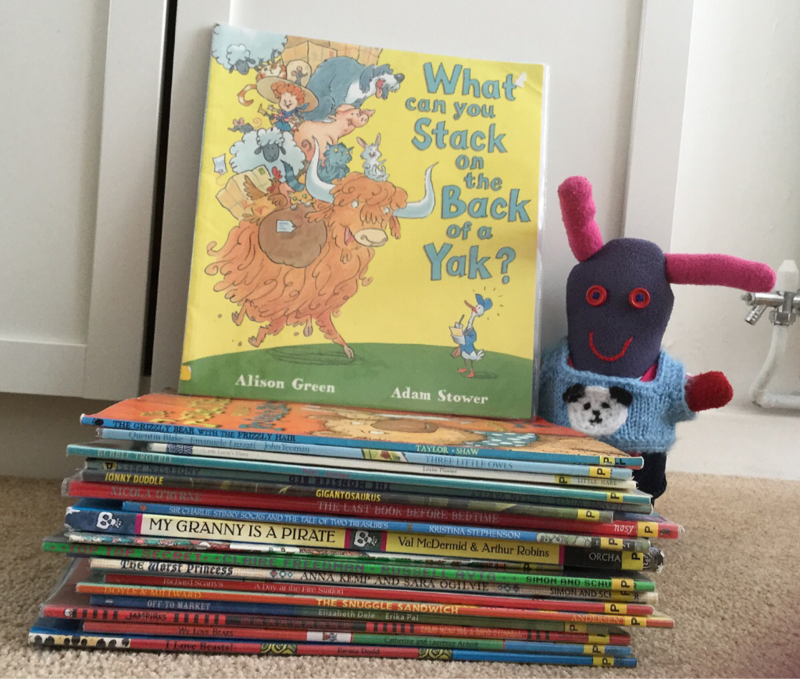 We've all had such fun talking to other rhymers, reading great blog posts, and reading lots of extra rhyming picture books! 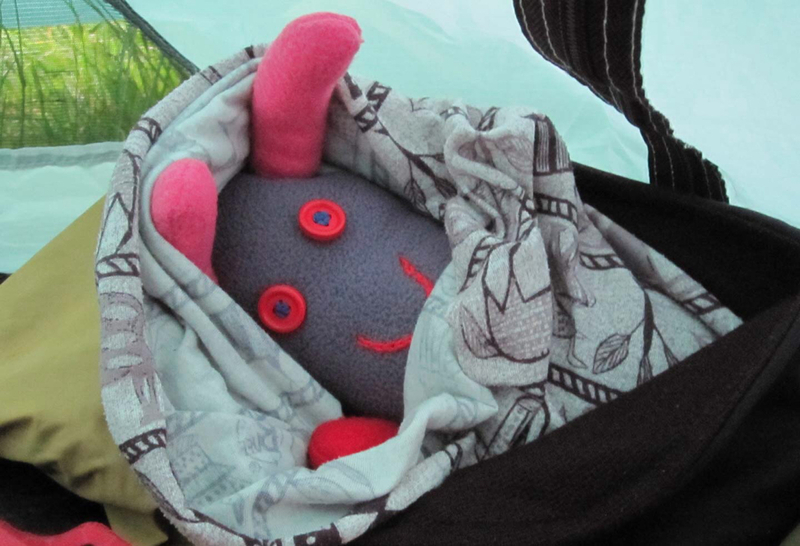 We'd like to thank Angie Karcher so much for organising #RhyPiBoMo 2016, and to also thank all the experts who gave up their time to write brilliant RhyPiBoMo blog posts for us to read throughout the event. 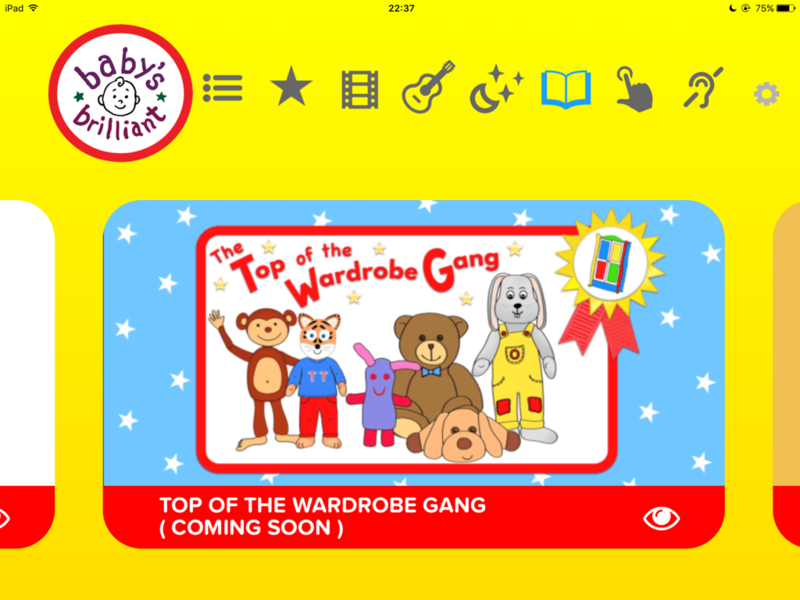 Other news from the end of April is that we've now signed an agreement with the great people from the Baby's Brilliant app. 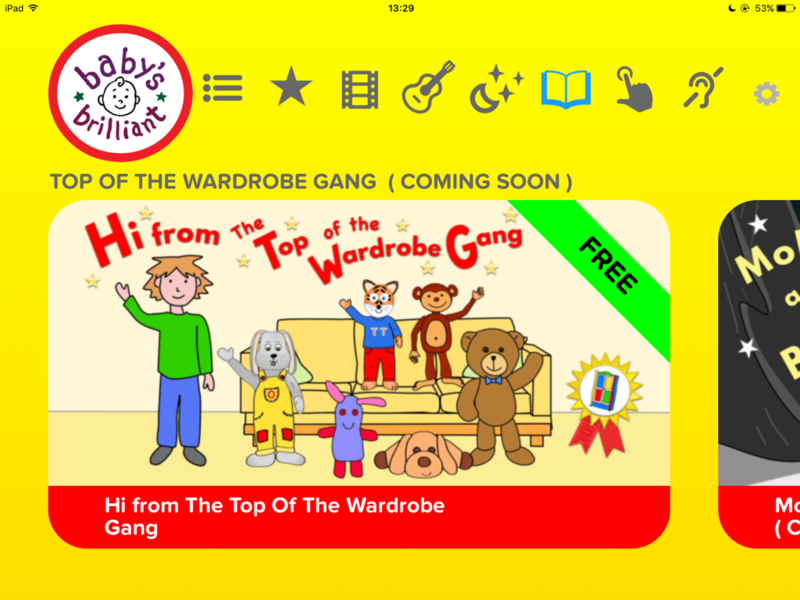 The app is available for FREE from the Apple App Store, and it will soon be coming to the Android App Store too. 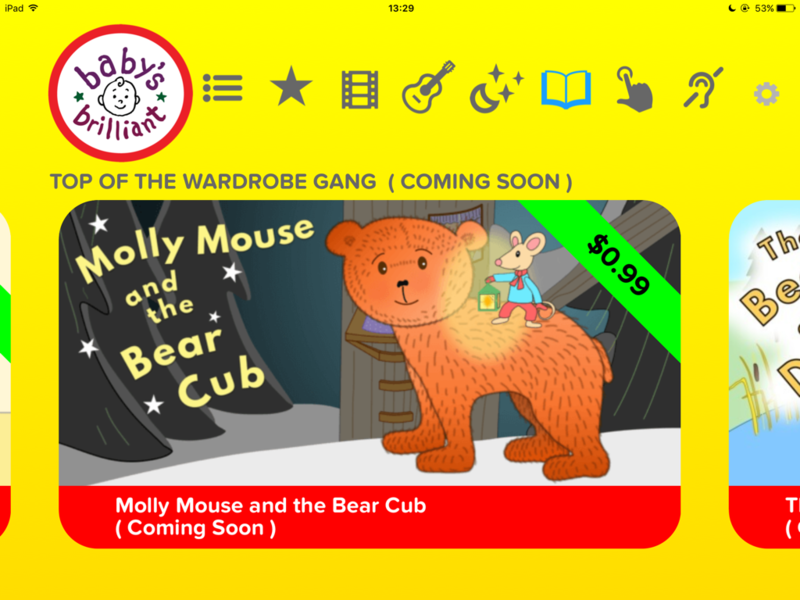 The Top of the Wardrobe Gang Rhyming Books will be made into READ ALOUD / video versions, which will be for sale for $0.99 from within the Baby's Brilliant app. We need to do some reformatting of our pictures for this. 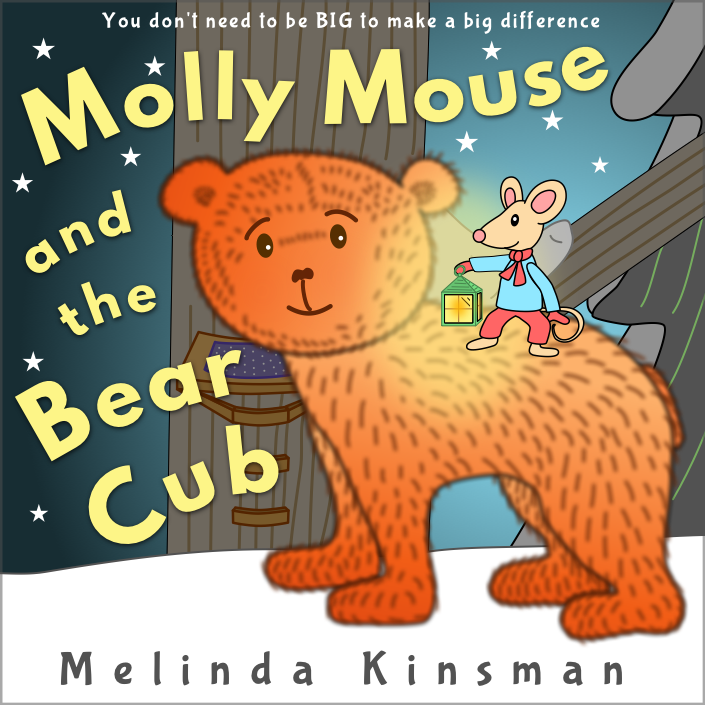 A short (FREE) introduction to the gang, and our "Molly Mouse and the Bear Cub" book, have both already been reformatted. The videos for these 2 items are being prepared over the next couple of weeks. We are all VERY excited, and we will keep you posted! The FREE intro video is already available! We think they've done a great job, and would love to hear your opinions. 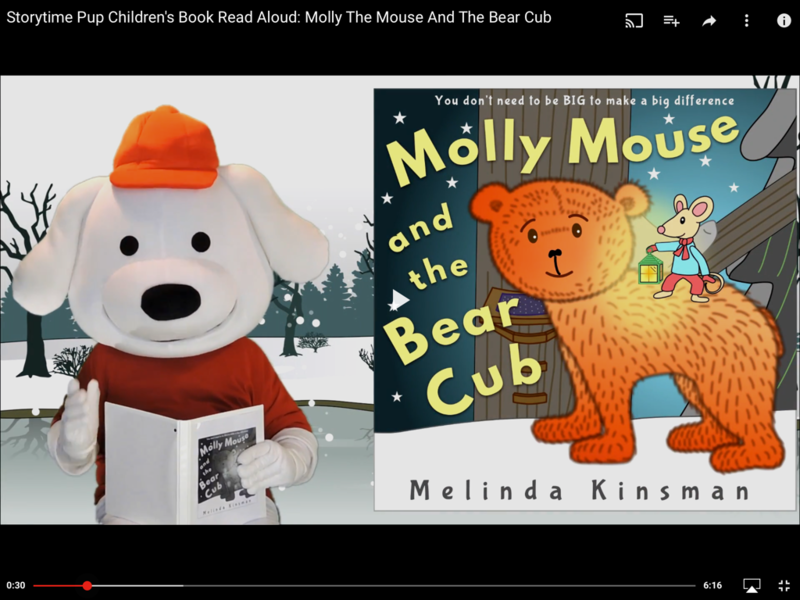 Just download the app for Free onto any Apple device, then click on the book icon to find the Read Aloud book options. 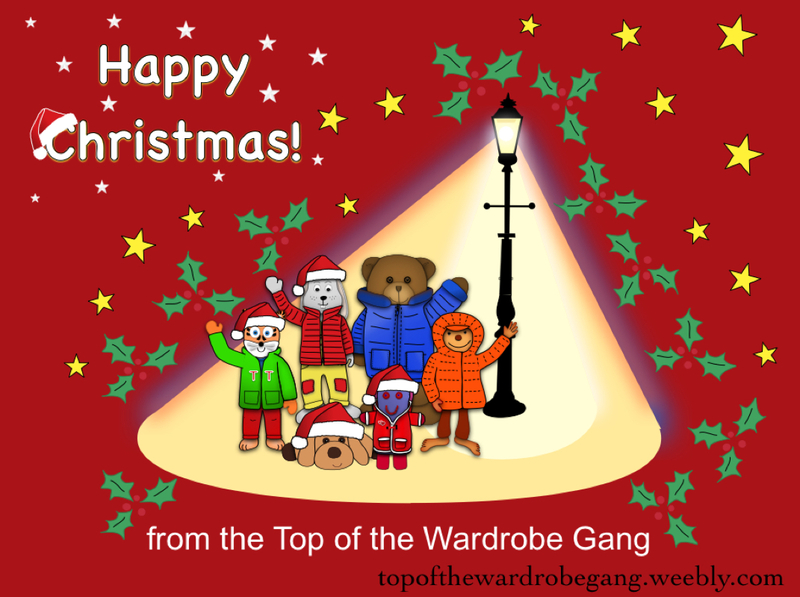 Click on the Top of the Wardrobe Gang picture, and you will then find the free introduction to the Gang. 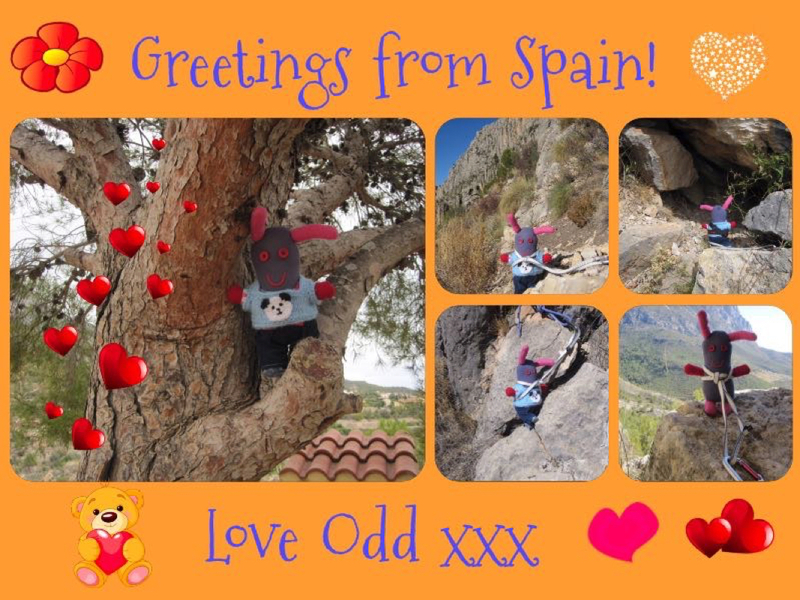 This is just a quick note from Oscar Rabbit to let you know that I'm working on Odd Sock, and I hope to have her blogging again soon. 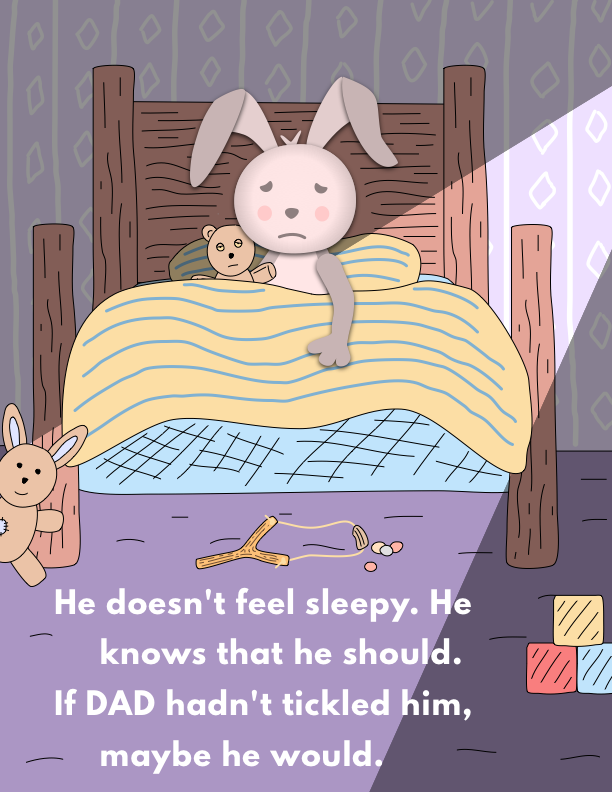 We are just starting to make changes to our website, as we've been so busy writing and illustrating books this year that we haven't done much with it for ages. Please bear with us while we make much needed improvements. 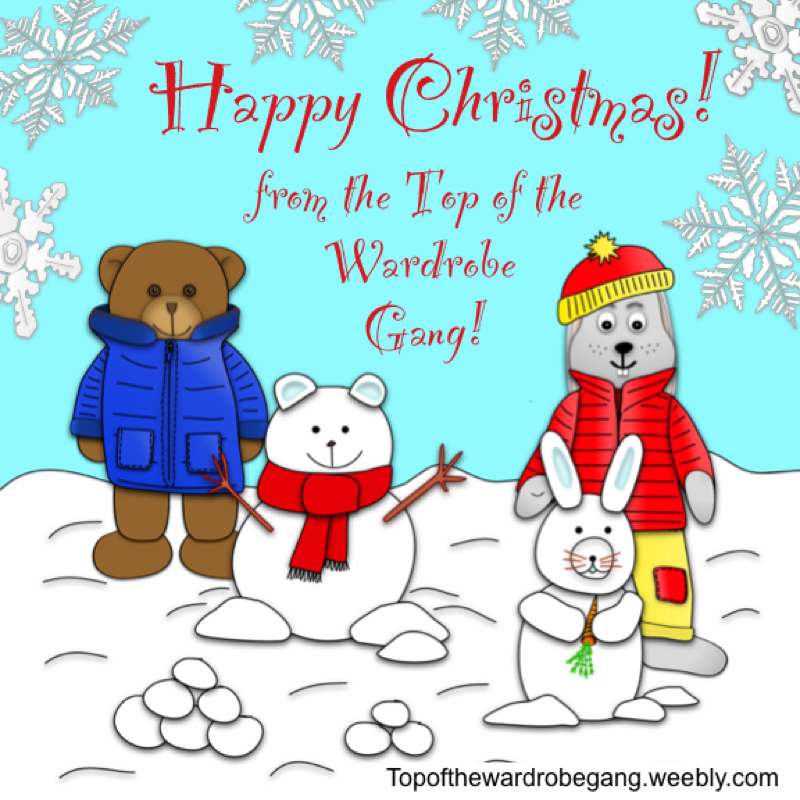 Happy Christmas from the Top of the Wardrobe Gang! 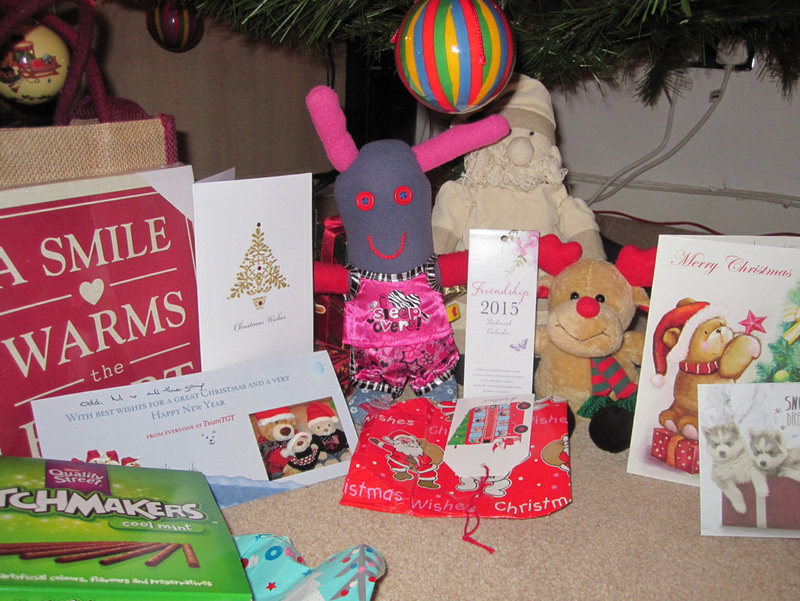 We&apos;ve had a very exciting month so far, and are all looking forward to Christmas Day - it&apos;s only a few nights away now! 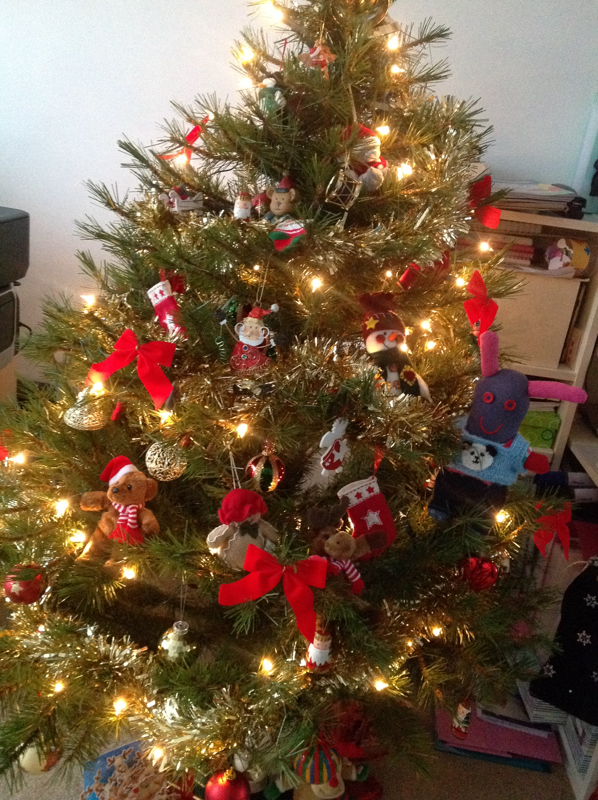 I&apos;ve had fun helping to decorate the Christmas tree! We&apos;ve also been working on our next books. 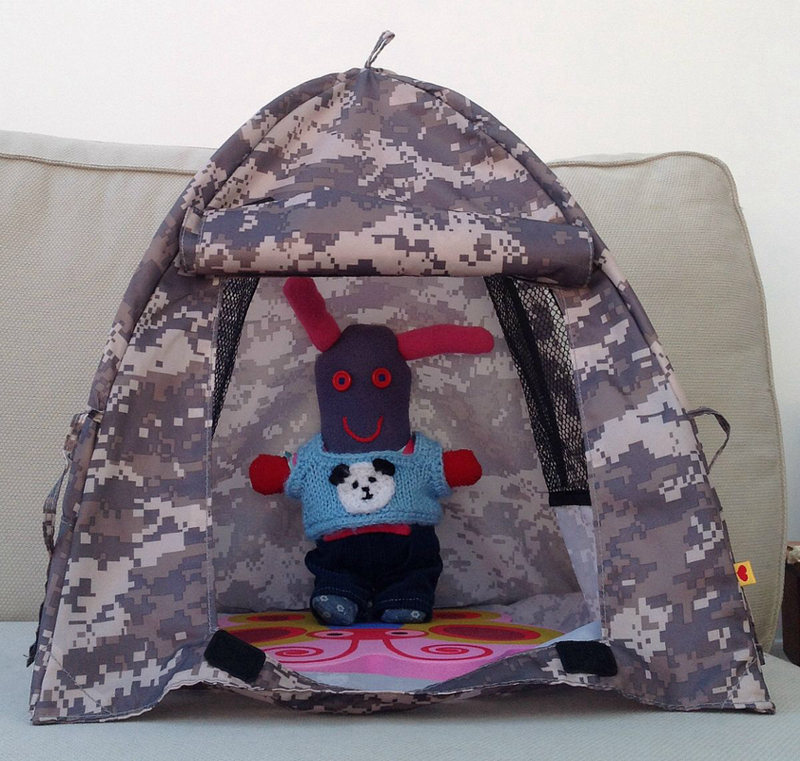 We plan to write two series of picture books. 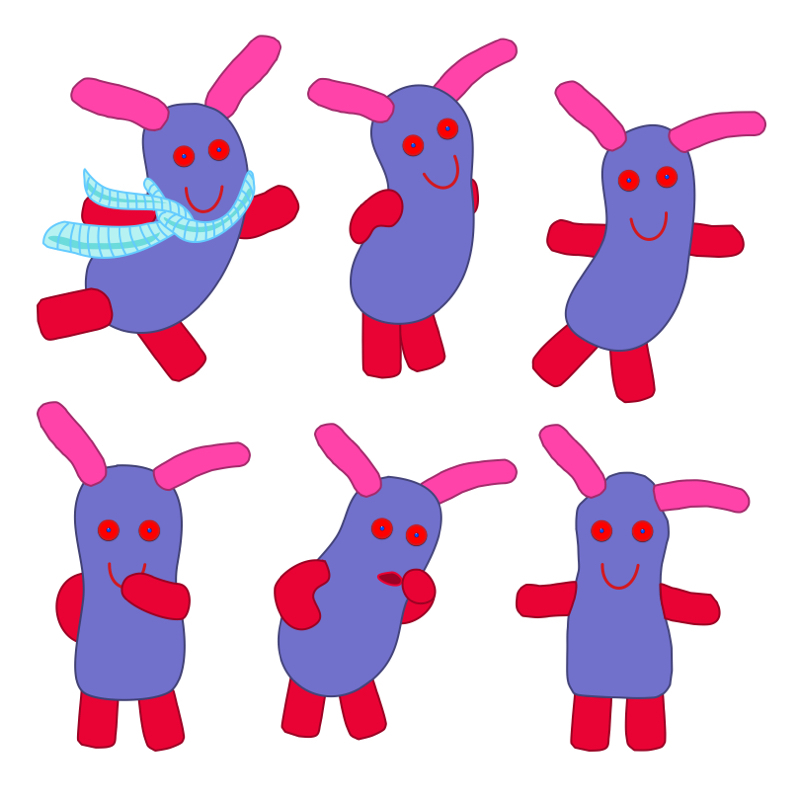 One series will be written in rhyme, which we are really happy about, as we LOVE writing in rhyme! 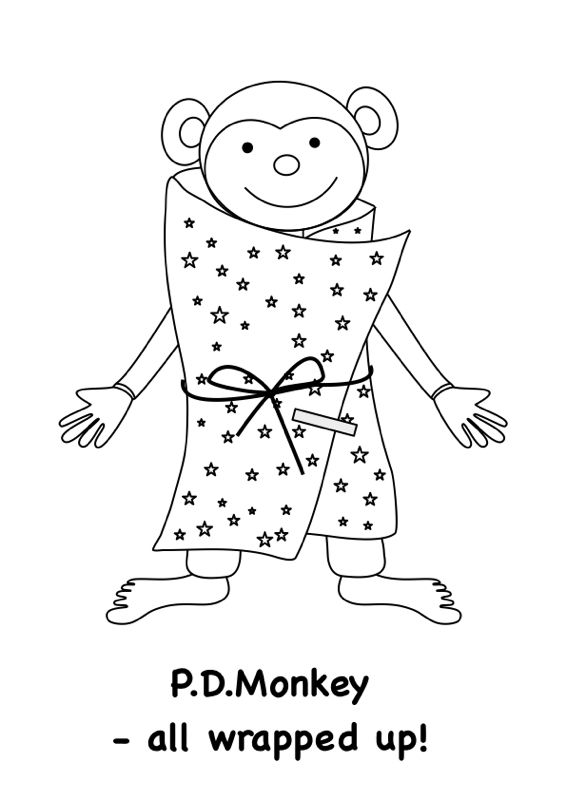 I&apos;ve been posing for M and PD Monkey to draw me for the new books! 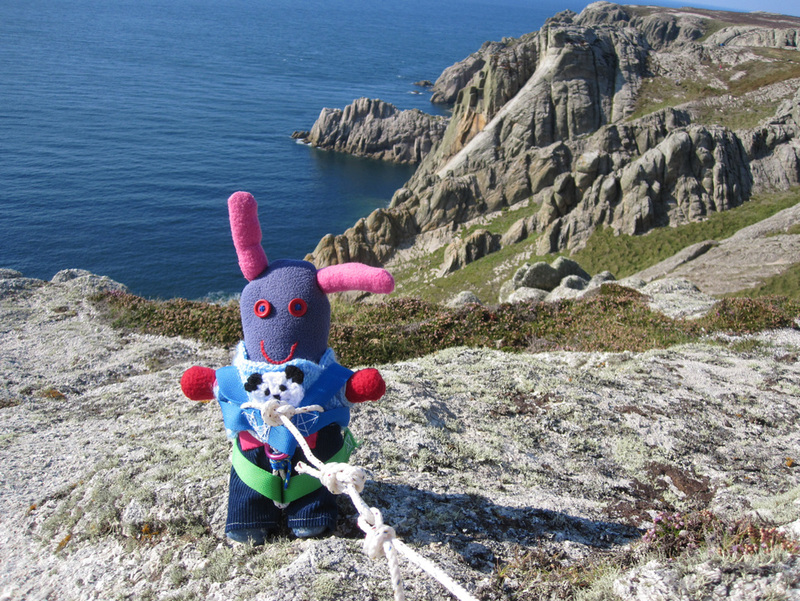 We&apos;ve also been doing lots of experimenting with how we want the pictures in our new books to look. 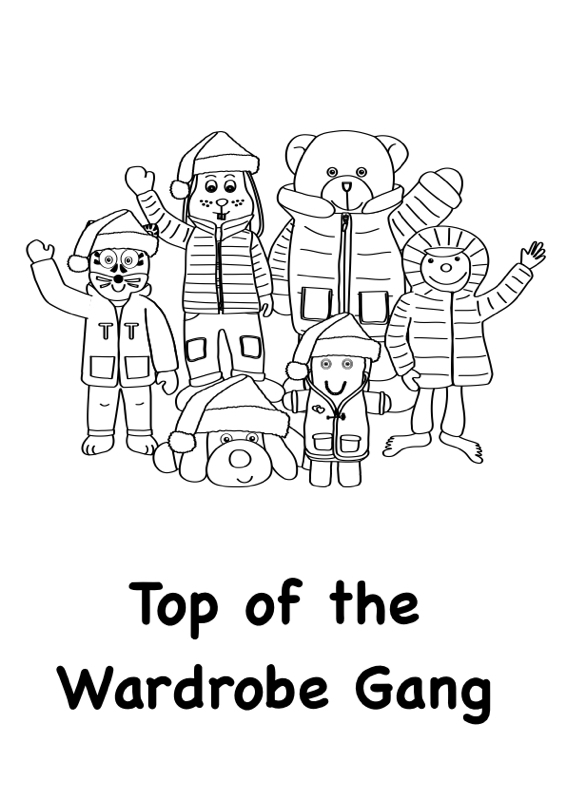 While the first page of our rhyming books will be something like this! 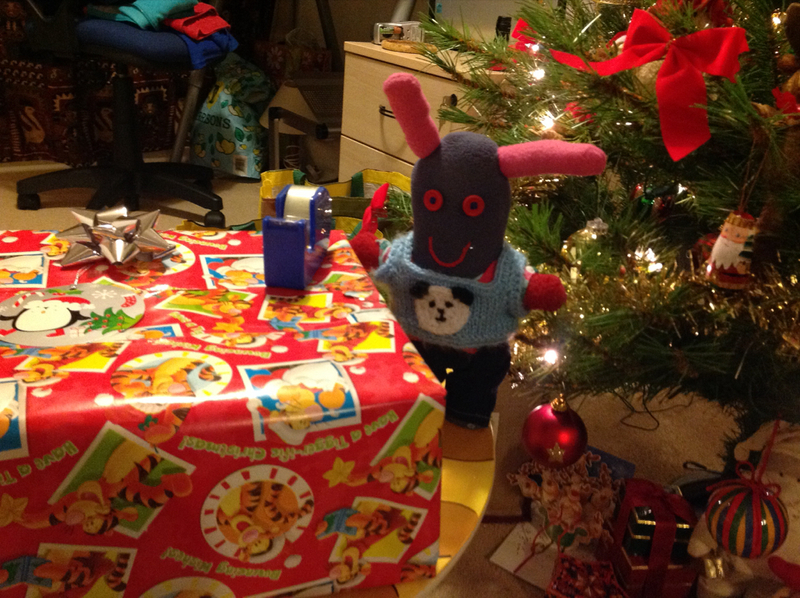 Hi everyone, Odd Sock here! 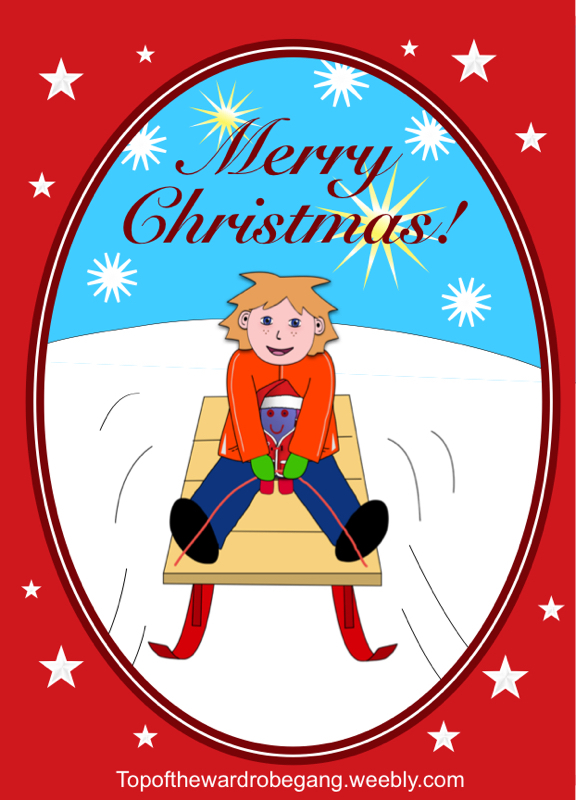 This is a very quick post, as I&apos;m in charge of today&apos;s free promotion for my Christmas book, and have lots of things to do! And here are the details of our official book launch event and free eBook giveaway! 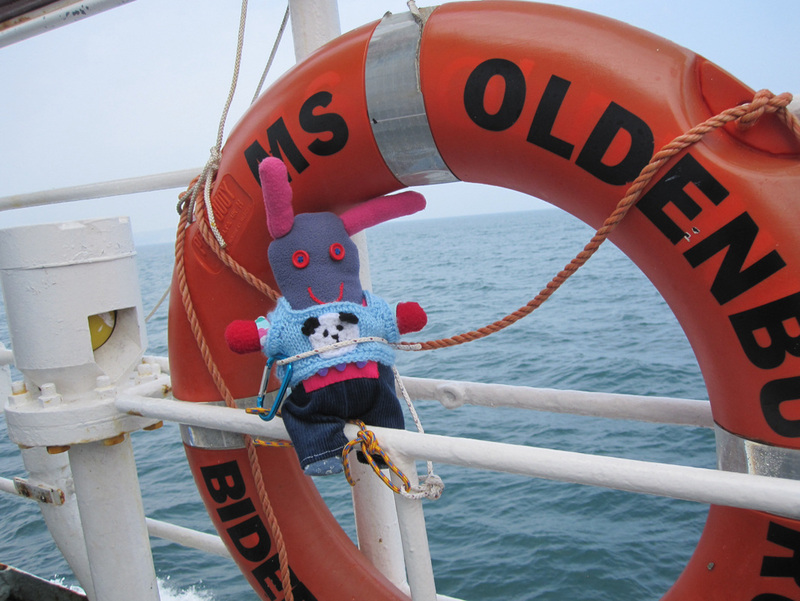 Hi everyone, Odd Sock here again! I&apos;m ever so excited at the moment! 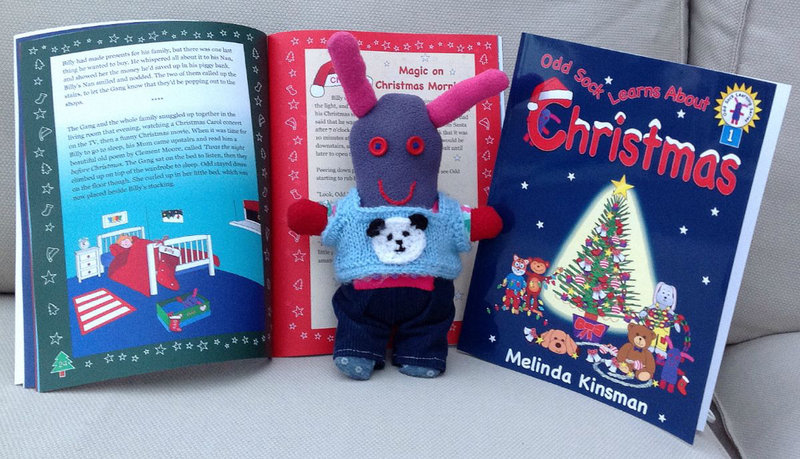 The shiny copies of our new Christmas book arrived from Amazon yesterday! 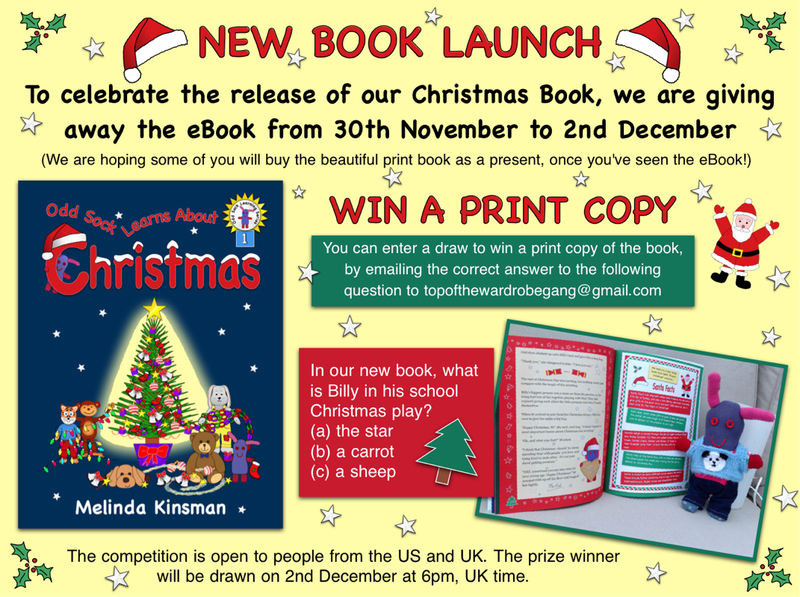 We are holding a giveaway of the eBook, and a competition to WIN one print copy from 31st November - 2nd December. 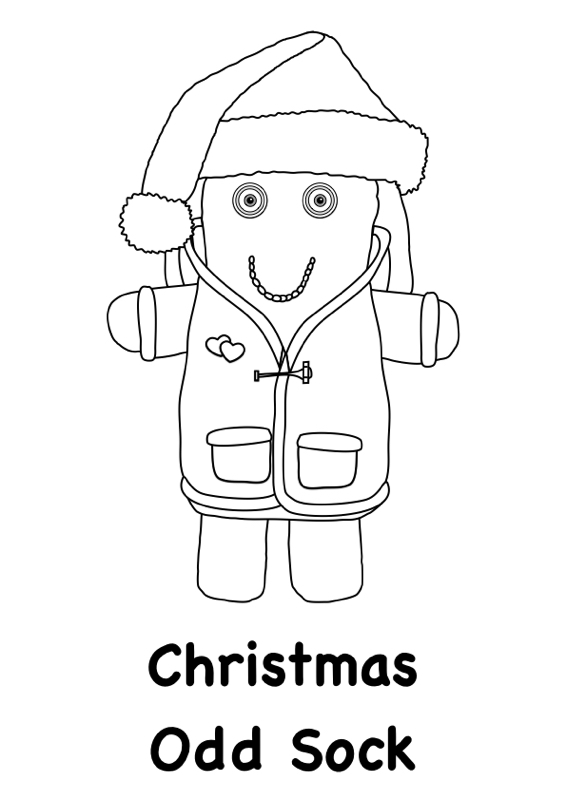 Here are a few of my colouring pages. What do you think? I&apos;ll add them all to our website later on. 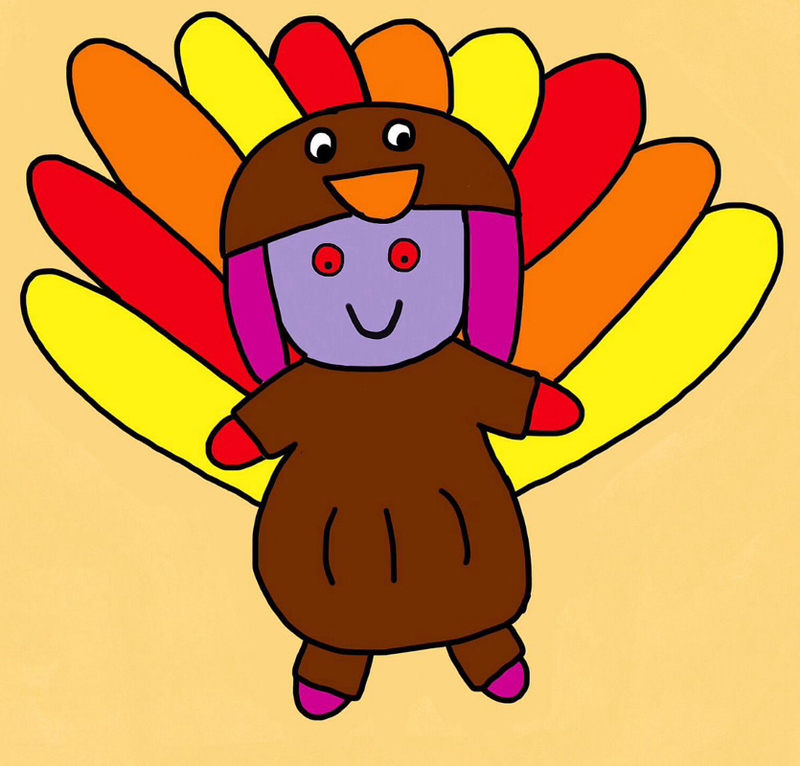 As tomorrow is THANKSGIVING over in the US, I&apos;ve also been thinking of all the things I&apos;m thankful for this year. I&apos;m so thankful for my friends, and my family. I&apos;m also thankful for all the amazing places I have been to, people I have met, and things that I have learnt. 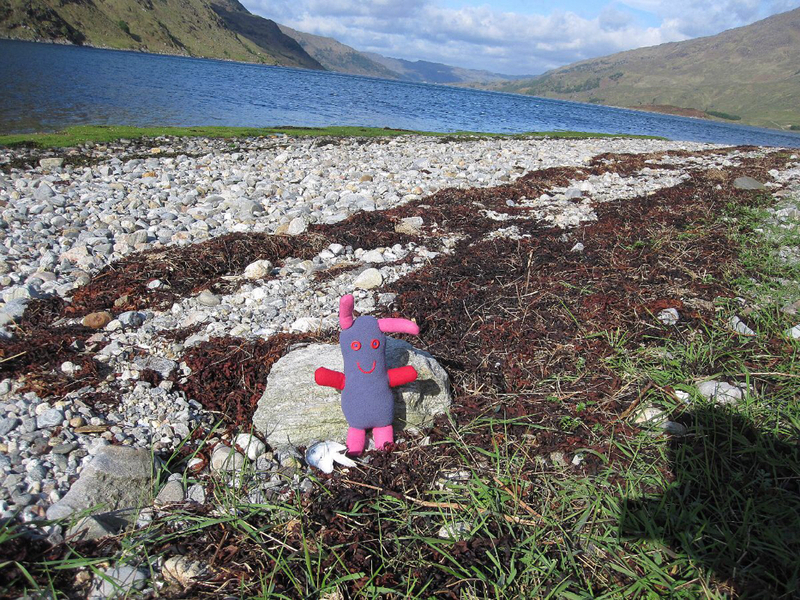 When M let me go with her to the Scottish Highlands earlier this year, I never imagined how much fun it would be. 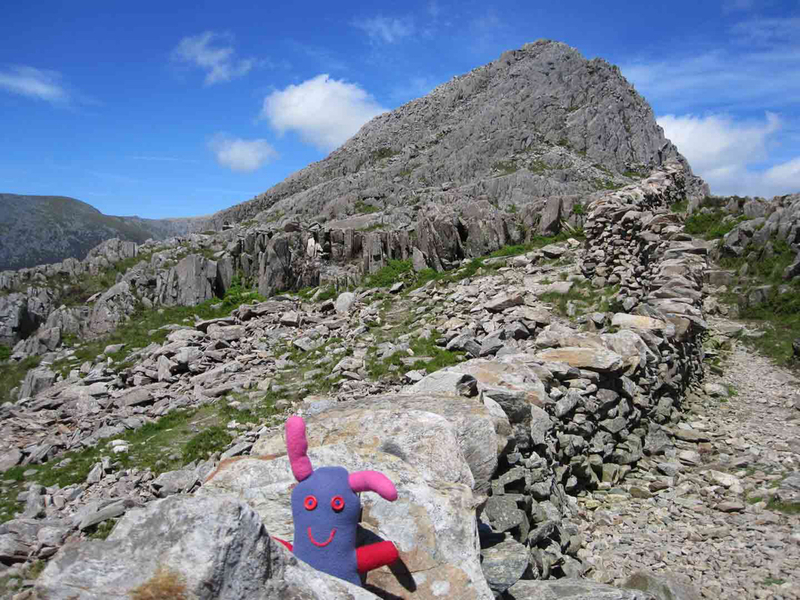 My second adventure of the year, and of my young life, was with M in Wales. 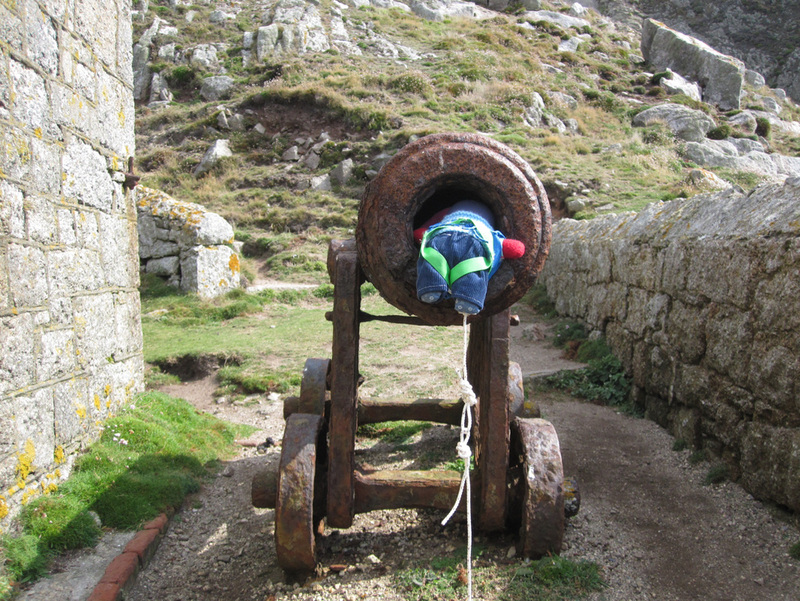 Much more tiring than my Scottish Adventure, but just as much fun! This summer brought my biggest adventure yet. 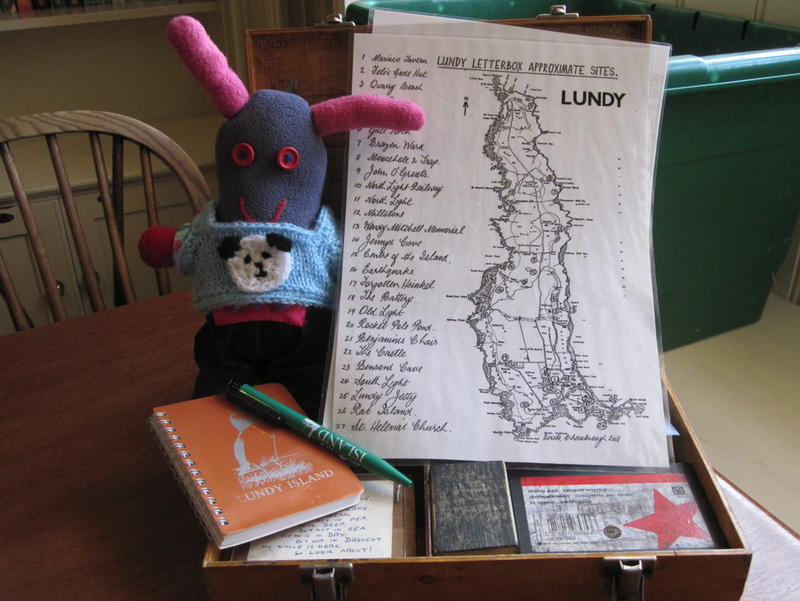 We went to the amazing tiny English island of Lundy, in North Devon. I&apos;ll soon be writing my next book about that trip. 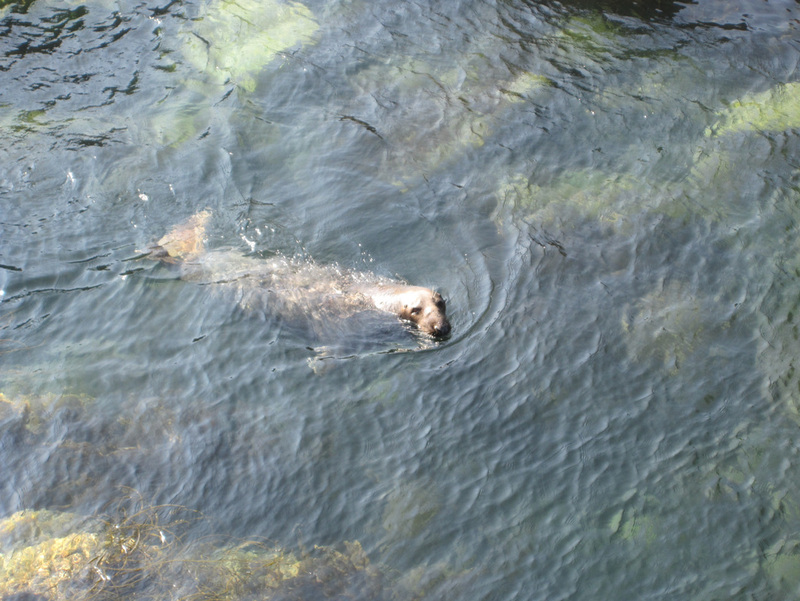 We had wonderful warm weather, and I spent a whole week wandering around the island and exploring. 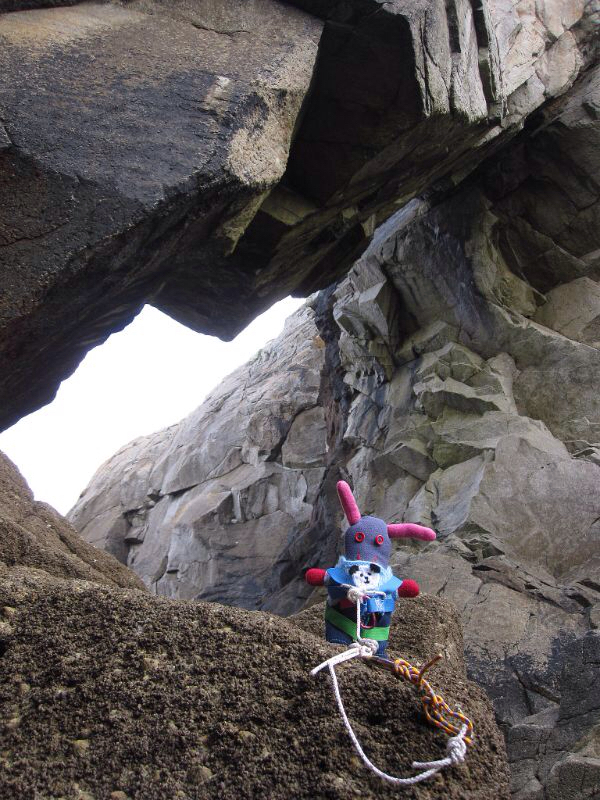 Two climbers I met have even named a new rock climb on the island after me! 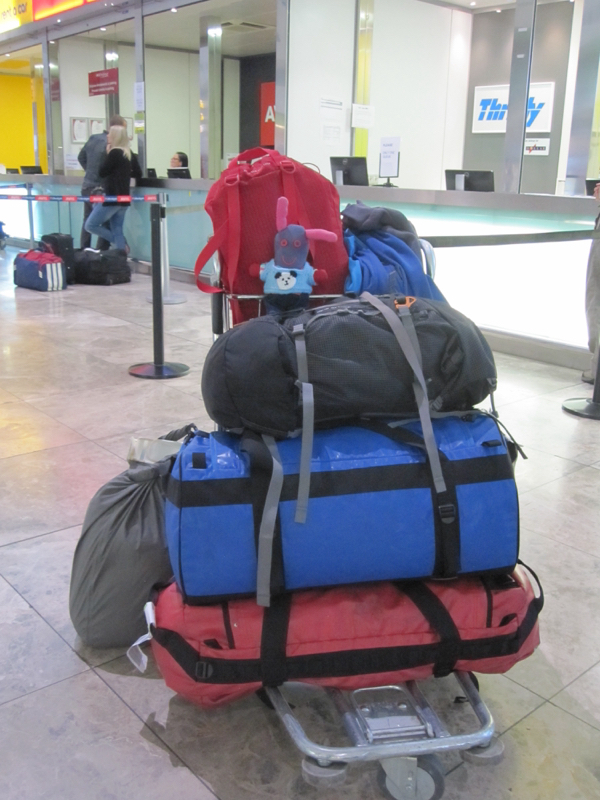 By the time we went to Spain in October, M was starting to realise that I was now always going to appear (and be begging to come) whenever I saw her packing her bags! 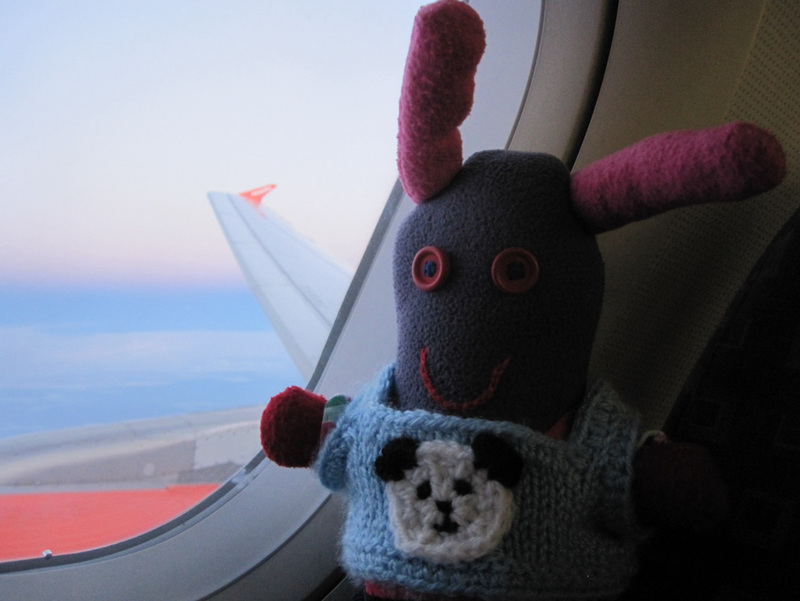 I loved going on my first trip in an airplane! 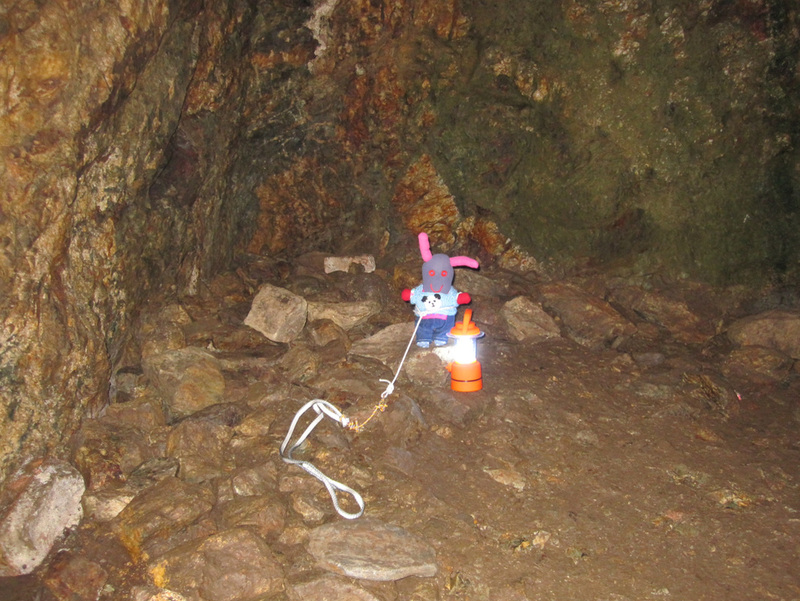 And I found lots of places to go exploring in Spain too! I&apos;ve got so many things to be thankful for this year, and so many memories to treasure from it.